Thought you could become a dog walker? Ask Woofbnb ! Are you finding no time to manage your dog? Office work not allowing you to take care of his walking? Couldn’t find a vet for him? Don’t worry! Take a sigh of relief, Woofbnb is here for you to take care of your pets’ problems and lets you continue with your daily life without worrying about your pet. Woofbnb.com is a one stop solution for all pet parents, who find it difficult to manage and maintain their pets. 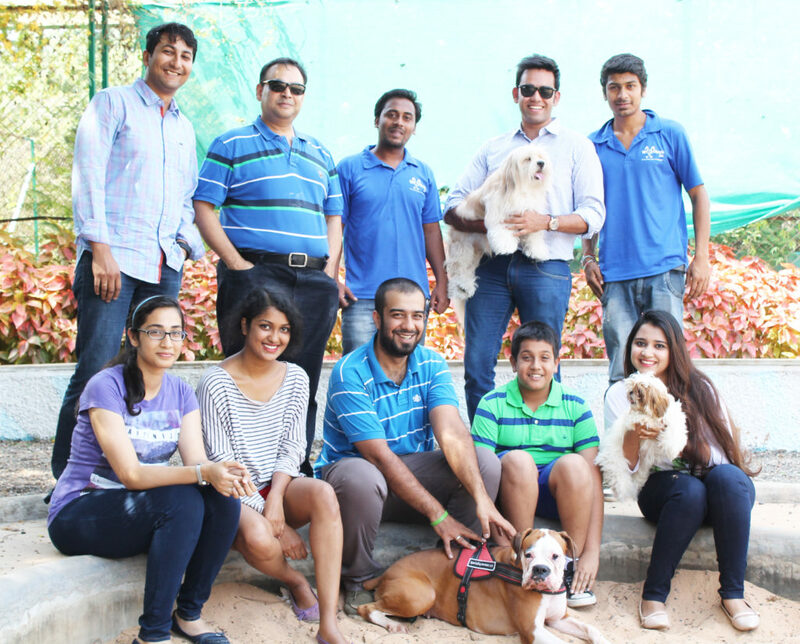 It offers convenience to pet owners through range of services, delivered at the comfort of their home. And as the tagline follows “Everything your pet needs”, it caters to every need of your pet. Woofbnb offers a variety of services and its uniqueness is that it offers its service at your doorstep. Anshul, the founder explains the company is focusing on delivering high quality services which are convenient and affordable with superb customer support. Each of their vertical/service has a unique service model that amalgamates technology, making it scalable. Grooming Services: Expert groomers grooming your pet. Veterinary Services: Experienced veterinarians providing consultation, treatment, and vaccinations. Walking Services: No time to walk your pet? Book a reliable dog walker today. Pet Sitters: Connect with a sitter, who can take care of your pet while you are away on a vacation or business trip. Look up & pay online. Woof Shop: Range of pet products delivered on same day. The core team comprises of Anshul, Owner and CEO; Prodipto Roy, Advisor; and SupratikGhatak, Tech advisor. Woofbnb is growing at rate of 20% month-on-month and with recently launched verticals their projections in terms of acquiring more customers’ looks really good. They aim to promote Woofbnb as a trusted brand, as quality plays an essential role in this domain. They are also planning to scale up the operations in other cities (Mumbai, Delhi, and Bangalore) which has huge market potential. There are direct and indirect competitors offering similar kind of services there are well known players like Dogspot.in, Scooby Scrub etc. and other unorganized players as well. He explains the challenges faced by the company at the initial stages was to maintain “focus”, while we had ample options in hand, it was very important to identify which one of those needed to be turned over to others so we can scale the business. It takes guts and a huge amount of discipline to say “no” to opportunities that come up, but because you’re constrained it’s necessary for survival. We managed to have some great people around me, people who could identify and communicate those things which hold the business back. Complaining is never a strategy. Everyone is resource constrained therefore we focus on “resourcefulness” and it proves to overcome all our challenges. “Take risks, believe in your guts, and keep evolving. You will never repent starting up; you will only repent not starting one”.